This Irish sign says Parking for Irish Policemen - All Other Will Be Towed. This white plastic Irish sign features green print and is surrounded by a border of shamrocks. 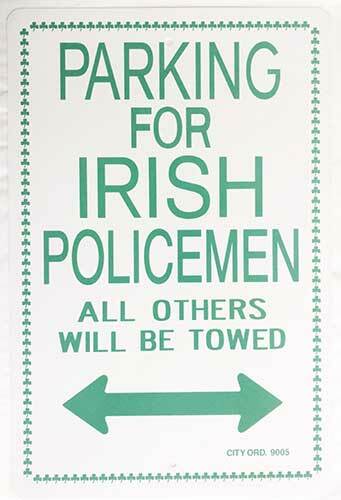 The Irish policemen parking sign measures 12” wide x 18” tall.